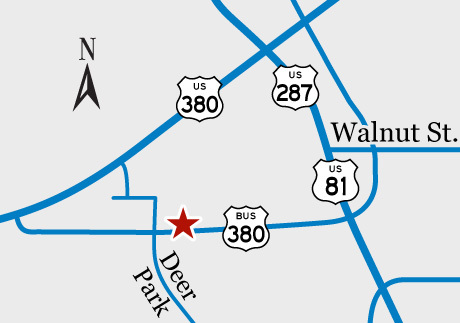 We are located on Business 380 to the west of the Lowe's Home Improvement store and on the opposite side of the road. We are the second building east of the Century 21 office and are between the USDA building and the Dentist's office. We have a pole sign in the front as well as a sign on the building. Our office is located within the office of ENT & Allergy Clinic, PA.